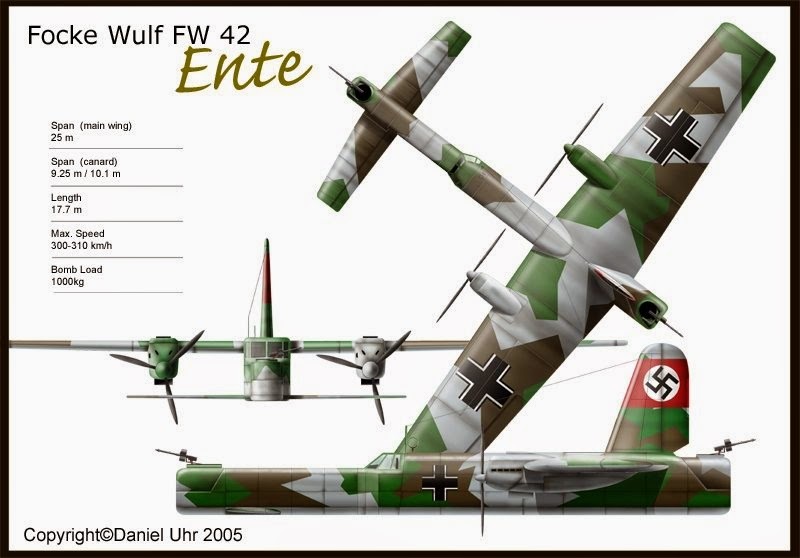 One of the most unusual bombers ever designed, the Focke-Wulf Fw 42 was a twin-engine aircraft with main wing placed at the rear and tailplane at the front. Designed in 1932, the aircraft was planned with a retractable landing gear, a crew of six, a span of 25 m (82 ft), a length of 17.7 m (58 ft 1 in), a height (at cockpit) of 2.35 m (7 ft 9 in), and an empty weight of 5,600 kg (12,346 lbs). Defensive armament included two machinegun posts, one in the nose, the other in the tail. A bomb load of 1,000 kg (2,205 lbs) could be carried. The Fw 42 was to be powered by two 750-hp BMW V1 12-cylinder engines, and it would have had a maximum speed of 310 km/h (193 mph) and a range of 1,200 km (746 miles). A full-size mock-up was built and, although good results were reported from wind-tunnel tests, no contract was issued, and all work on this curious “canard” design was abandoned. I am making 4D model of paper airplane for FW 42. I would like to link to you for introduction of FW 42 at www.4dpaperairplane.com. 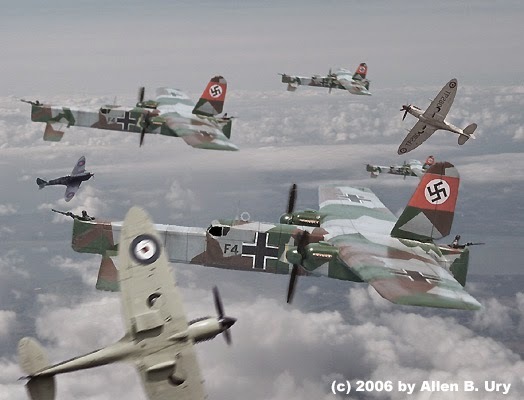 I am also making models for other airplanes and would like to add history for them.